I hope it lasts a long time, fun to build memories with it and relive them each time you put it on. I recall I was wearing this exact watch when my son dropped his favorite toy off a bridge in Missoula MT and I climbed down on the bank, stripped to my boxers and watch, and swam 100 yards through current to the bridge pillar (where the toy miraculously landed and stayed above water) grabbed it and swam back to the shore. My wife took a pic of me returning it to him and he has the most “proud of my dad” look on his face. Nothing really to do with this watch but just one of those things that I’ve tied to this particular piece that adds to the fact I’ll never ever ever sell it. To me that’s what watches represent, a physical memory box that can bring back a thousand memories of good times spend with the watch on your wrist. BufordTJustice, navjing0614, Maddog1970 and 4 others like this. Buschyfor3, BufordTJustice, boatswain and 2 others like this. Not sure anything beats the Tuna. Im still bummed that I sold my Tuna. boatswain, EightEyes, Londonboy and 2 others like this. boatswain and Dohnut like this. Nice story and memory with watch. I'm more of a flipper than a collector but as I age I'm turning to be the latter. I regret letting go of my explorer 2 (10 years with me) that I got 2003 as my first rolex. It went with me during our honeymoon and a lot more special moments. 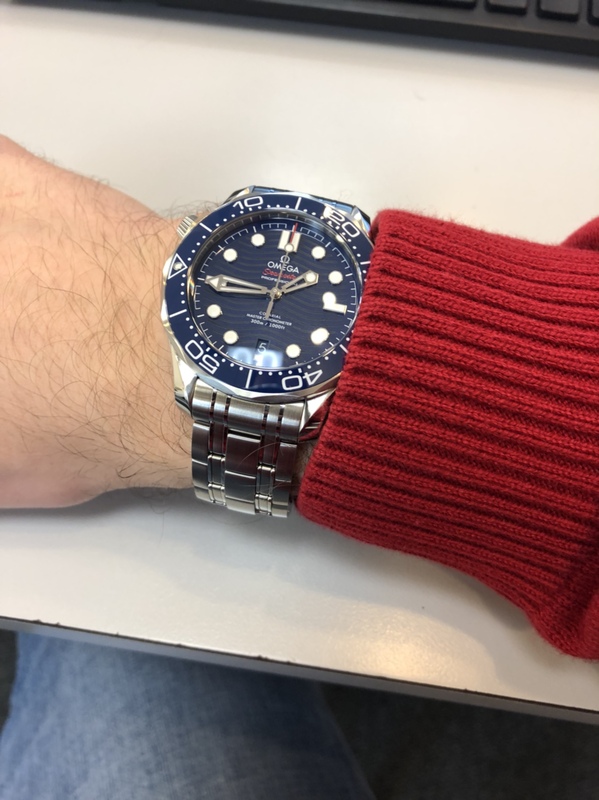 Another piece that I foolishly let me was my mid size blue Omega smp with sword hands I got from my dad (12 years with me). I traded these 2 with a lesser brand that I have already flipped, that was 2013. I began to appreciate watches with history (personal) just a few years back (when I joined watchuseek ) and now trying to start holding on to my watches. Presenty I got a tudor, Omega smp 2018, 3 seikos and a number of G shocks. Planning to add an Omega AT or a grnad Seiko in the next couple of years and so the saving begins. BufordTJustice and kadmus like this. BufordTJustice and navjing0614 like this. Great pics and watches guys! I’ll admit this new model is growing on me.